This summer, take your adventures down south to experience your very own California Dream. Summer in Southern California is unlike any other with the salty ocean breezes keeping the temperature just right. And with everything from coastal bliss to mountain wilderness, SoCal is begging to be explored. 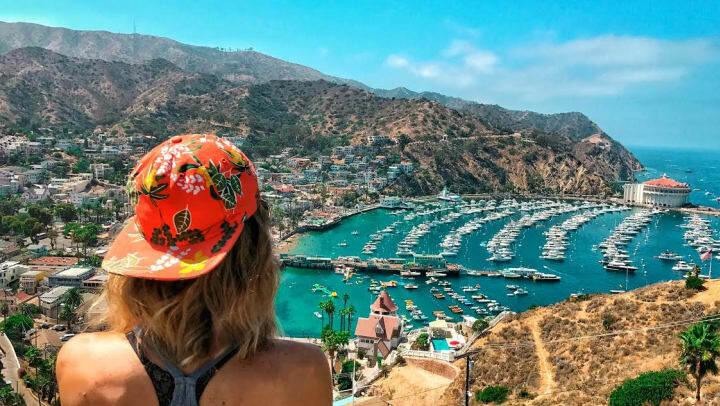 So lather up in sunscreen, throw on some shades, and get ready to experience summer the SoCal way with this list of StorQuest's favorite outdoor activities in Southern California. Driving the beautiful, iconic Pacific Coast Highway, commonly known as PCH, is a great way to witness all the wonders that Southern California has to offer. If you are looking to keep your road trip in Southern California, start in the quiet beach town of Dana Point, head North through the luxe Laguna Beach, through the glittering lights of Santa Monica Pier, witness the Spanish-style architecture of Santa Barbara, and end up overlooking the ocean with a glass of California’s finest in San Luis Obispo’s lush wine country. The more time you have to appreciate the Pacific Coast Highway, the better. Catalina Island sits approximately 26 miles off the coast of Southern California. With bike paths, zip lining, golf courses, and hiking trails, there are endless opportunities for adventure at this island retreat. Only an hour by boat or 15 minutes by helicopter, Catalina is closer than you think. Once you’re there, explore the main town of Avalon, see the island on horseback or golf-carts, and ride the same trails that Native Americans and pirates traveled hundreds of years ago. If you prefer to explore under the surface, snorkeling and scuba diving conditions are among the best on the West Coast. This summer, find your island oasis on Catalina Island. Since its opening in 1922, the Hollywood Bowl has been a premier destination for live music and hosts hundreds of concerts every year. With an ideal outdoor venue and over 17,000 seats, this iconic amphitheater is the perfect place to spend a warm summer night. With legendary performances from The Beatles, Pink Floyd, The Rolling Stones, and Tom Petty and the Heartbreakers, the magic of the bowl is more about the music alone, it’s an experience you’ll never forget. If you truly want to experience California’s divine summer beauty, head to Crystal Cove State Park in Laguna Beach to lay out on powdery sand beaches, explore ocean caves, and fall asleep to the sound of crashing waves under the stars. From the beautiful turquoise waters to the fascinating marine life, Crystal Cove is a real-life treasure for scuba divers and snorkelers. Whether you like to swim, fish, surf, camp, or all of the above, you can experience a true Southern California summer at Crystal Cove in Laguna Beach, CA. If you’re looking for a place to keep your beach gear after your trip, you can trust that they’ll be in good hands at StorQuest. Make room in your life for your next big adventure today.